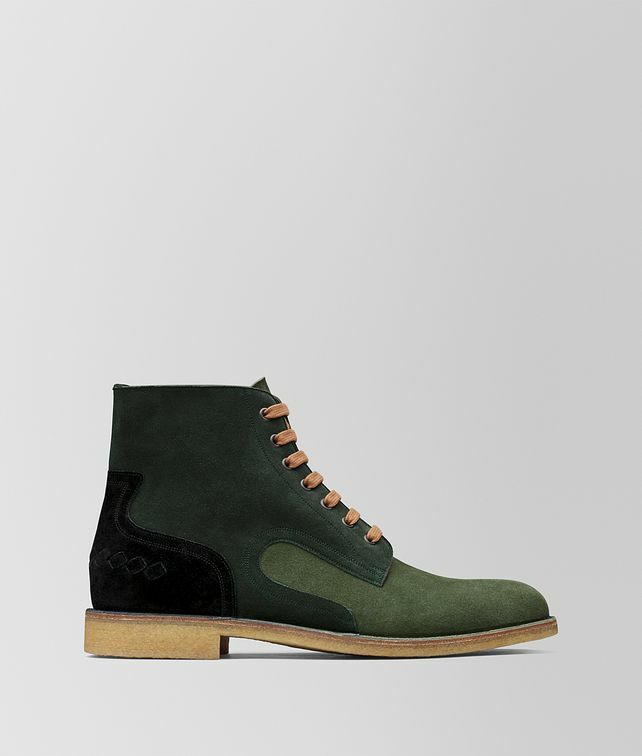 This substantial workwear-inspired boot is handcrafted from refined suede. It’s made from three coloured panels, precisely cut and sewn together by hand. Finished with subtle intrecciato detailing at the heel and colour-contrast laces.